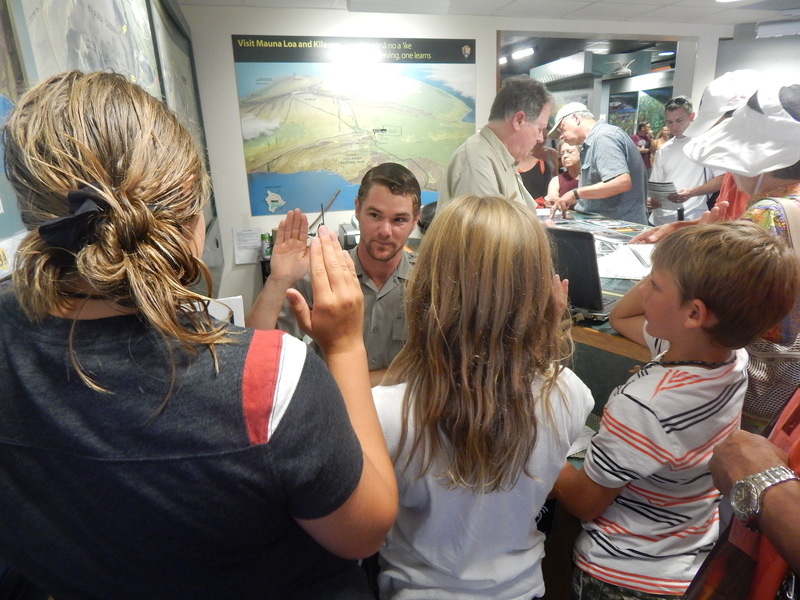 It is the most common question I get asked when talking about our summer trips to the National Parks. And it’s not an easy one to answer. We’ve now explored 38 of the 59 U.S. National Parks. 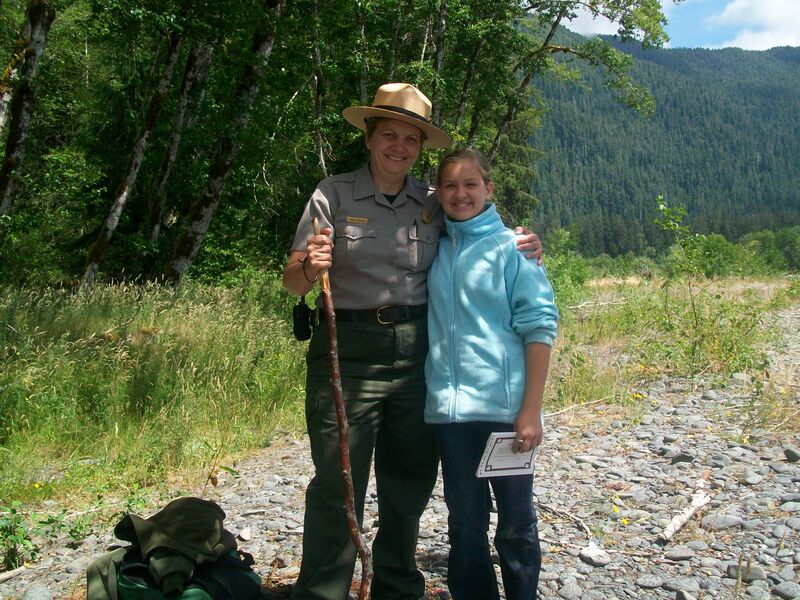 Take a glance at my 13 Summers page to see a list of all U.S. National Parks and the ones we’ve visited to date. The National Parks really do offer something for everyone. We’ve all seen the vivid colors of calendars and screensavers, and the sprawling vistas advertised on TV. Do you dream of exploring the rocky heat of the desert or climbing great mountains or of getting lost in the deep woods? 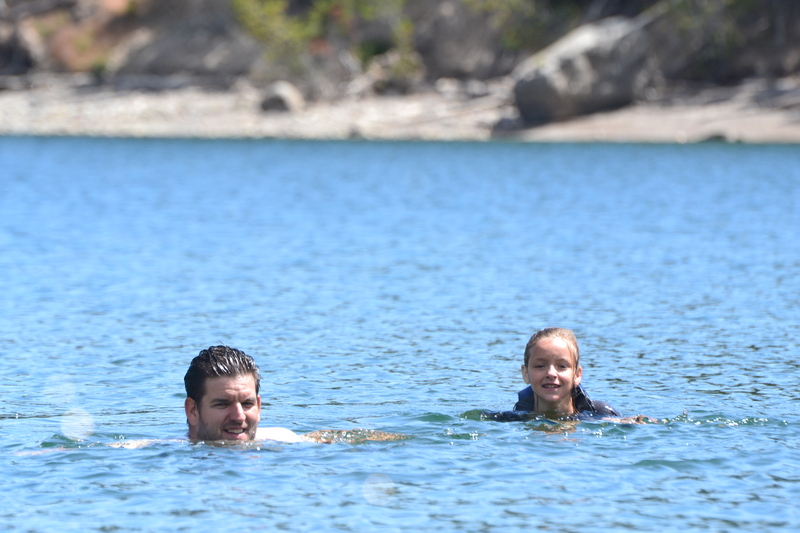 Do you want to fish in pristine rivers? Photograph rare wildlife? Explore a dark cave? Or just stare up at the worlds tallest trees? The thing is, having a relationship with nature, and with America’s Parks, takes more than just looking at someone else’s pictures, or watching a carefully filmed advertisement on TV. Knowing nature is experiencing nature. When people ask me to pick my favorite park, I don’t necessarily think of the ones that were the most beautiful. I think of the ones where my experiences there were the most memorable. I love the Grand Tetons because of the time we went kayaking in Jackson Lake, and the weather was so perfect and the mood so right that we pulled up to a rocky beach, stripped down to our under-roos and went swimming underneath the shadow of the great mountains, and the afternoon is a memory full of the shimmering laughter of the kids. 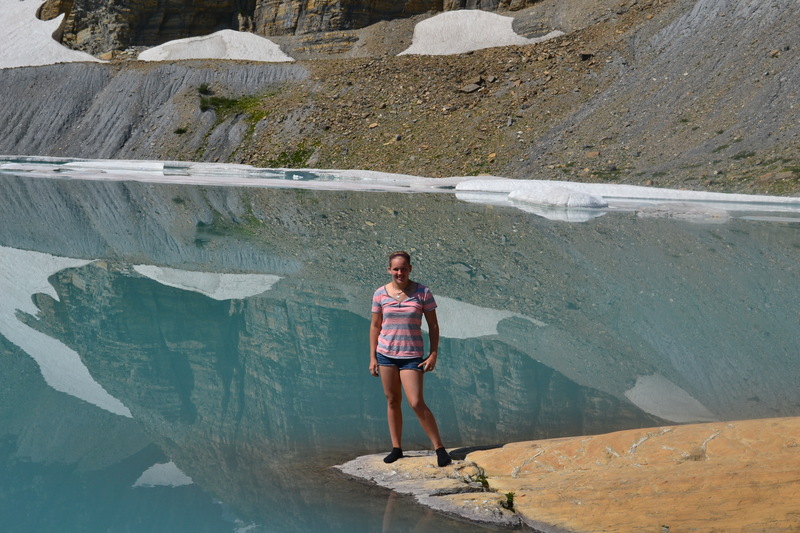 I love Glacier because of the amazing 12 mile round-trip hike to Grinnel Glacier. It was their longest hike yet, and they completed it in spectacular fashion. We ate blackberries on the way up, we soaked our aching soles in a glacier lake, we rested our eyes on a disappearing glacier, we even saw the tail end of a grizzly on our way back down. And at the end of that long day we feasted at Many Glacier Lodge and watched the sunset behind the mountains. It was a most perfect day. 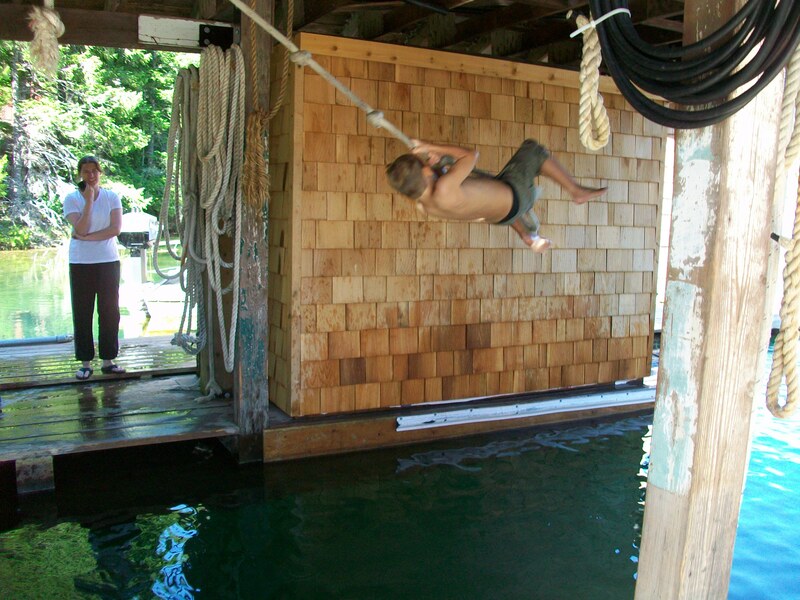 I love the North Cascades because I remember the many fun hours the kids spent on the rope swing at the floating Ross Lake Lodge. 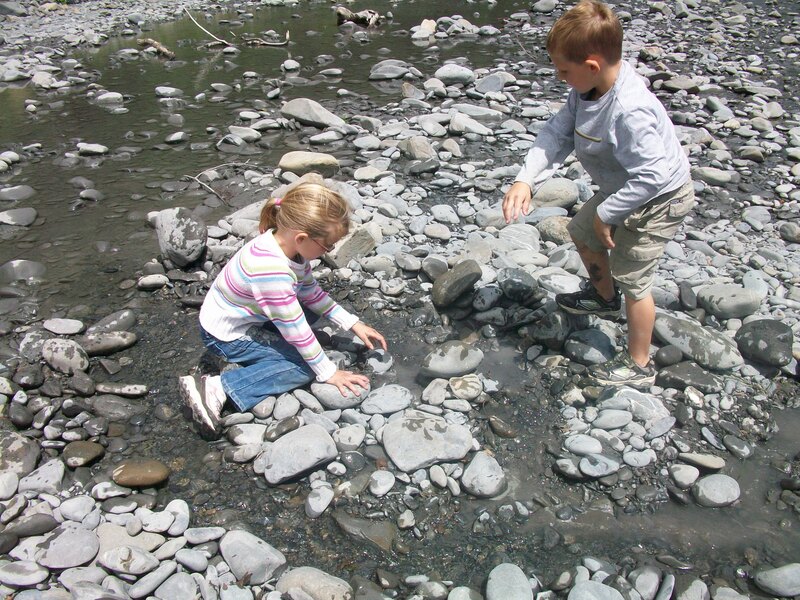 I love Olympic because I watched my young children form streams and build rock dams on the river edge and play make believe with their stuffed animals in the middle of the Hoh Rainforest. 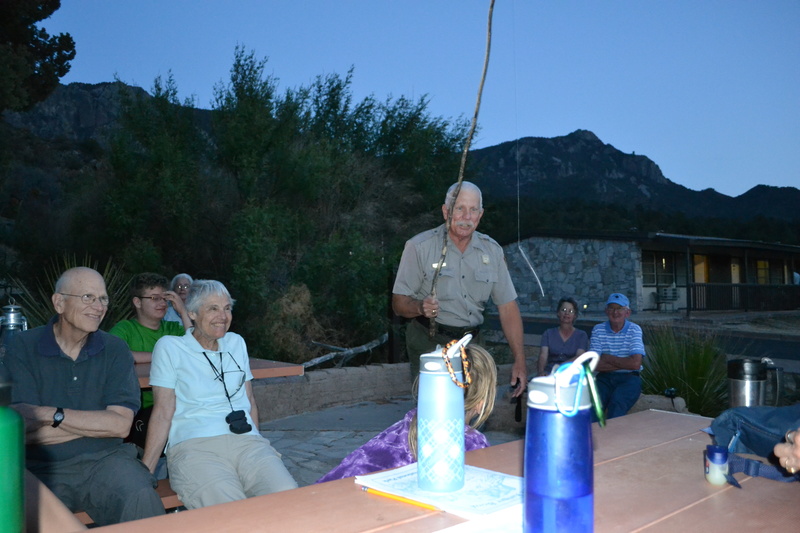 I love Guadalupe Mountains because of the great adventure we had camped on a desert hillside in the middle of the frightening thunderstorm. 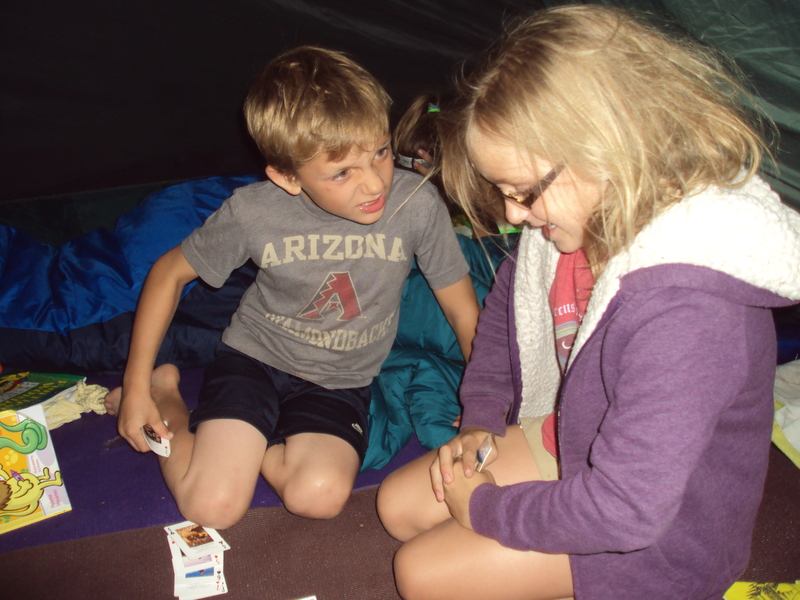 We had nowhere to go unless we drove out of the park, and we hid out and played cards all night to take our minds of the cracking thunder, the soaking wet tent falling down around us, and the lightning flashes we saw flash in the night. 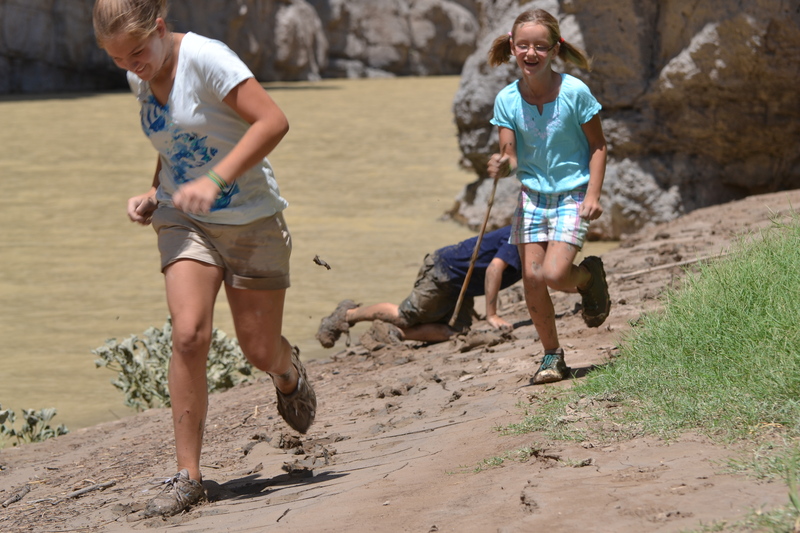 I love Big Bend because of the memory of my kids rolling in the mud on the banks of the Rio Grande and playing mud monsters to everyone that walked by them. I love Padre Island because we watched the sea turtles get released at sunrise and make their way to the great wide ocean. 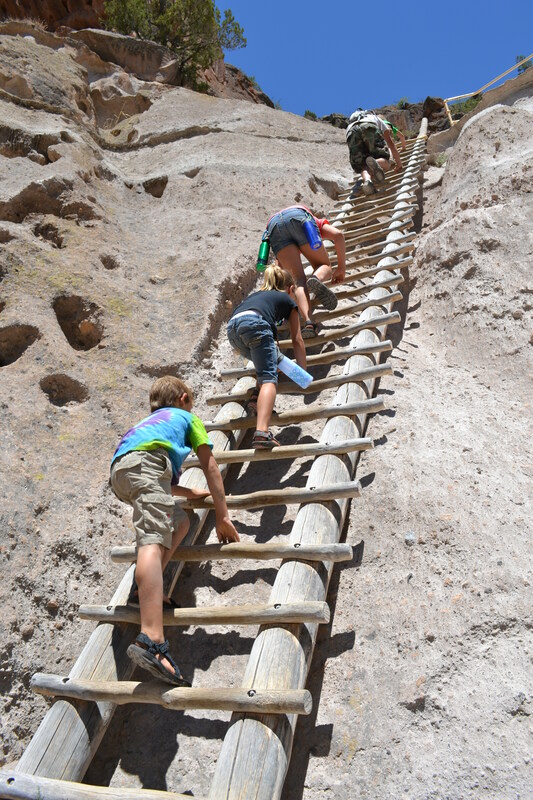 I love Bandelier because of adventure of climbing all those ladders over mountains of rock, and then later the memory of our tent finally collapsing and we had to throw it out in the middle of our trip. 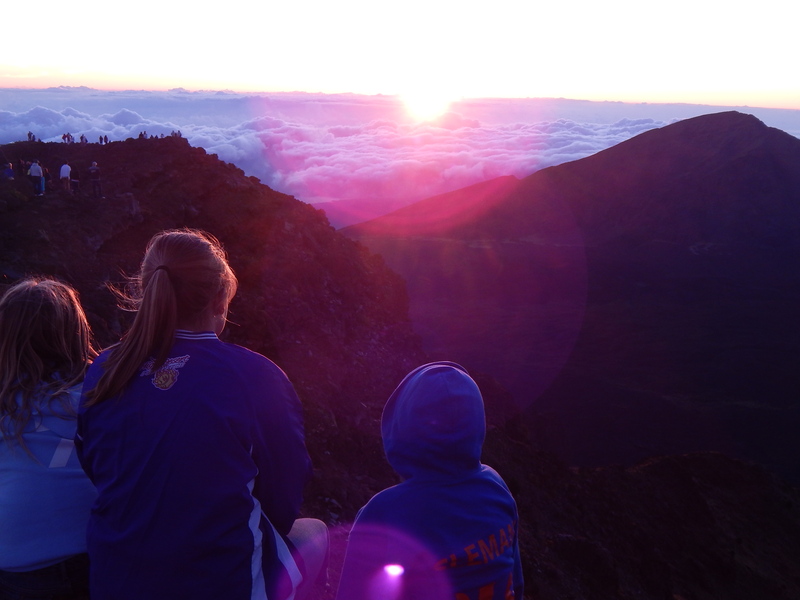 I love Haleakala because of the moment we all watched the sunrise above the clouds, hand in hand. 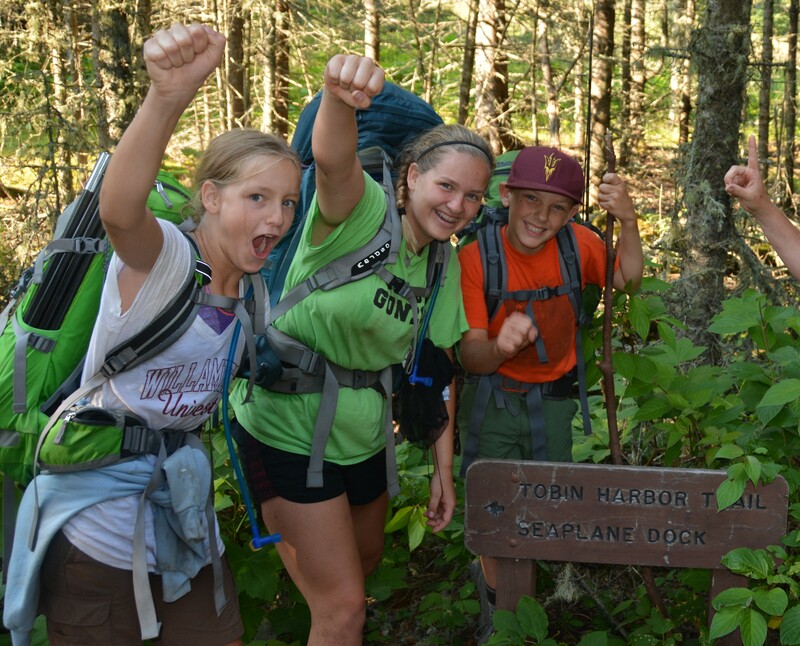 I love Isle Royale because of the memory of the last three miles of our 44 mile backpacking trek across the island – we are all so sore and beyond exhausted, and then my entertaining son played his Gollum character and laughed us all the way to the end. 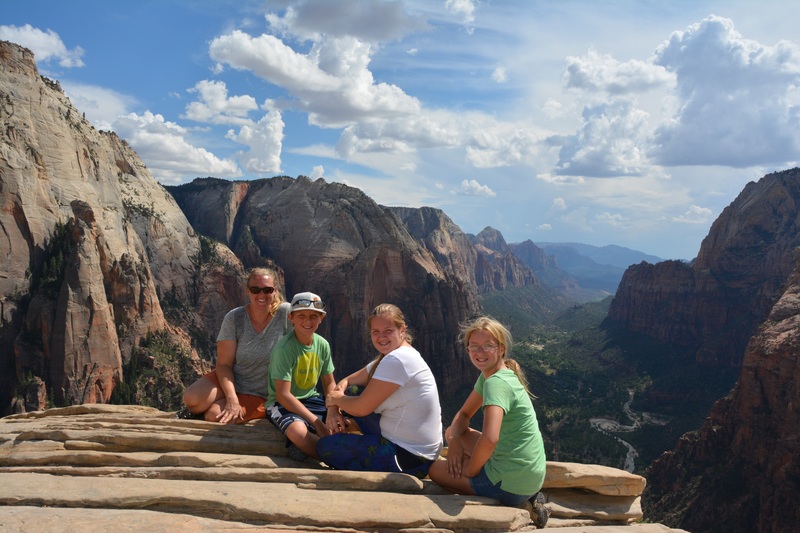 I love Zion because of the moment we had on the top of Angels Landing, looking down into the great valley and around at each other, and I remember thinking about how strong and determined my children are, to achieve something like this at their age. 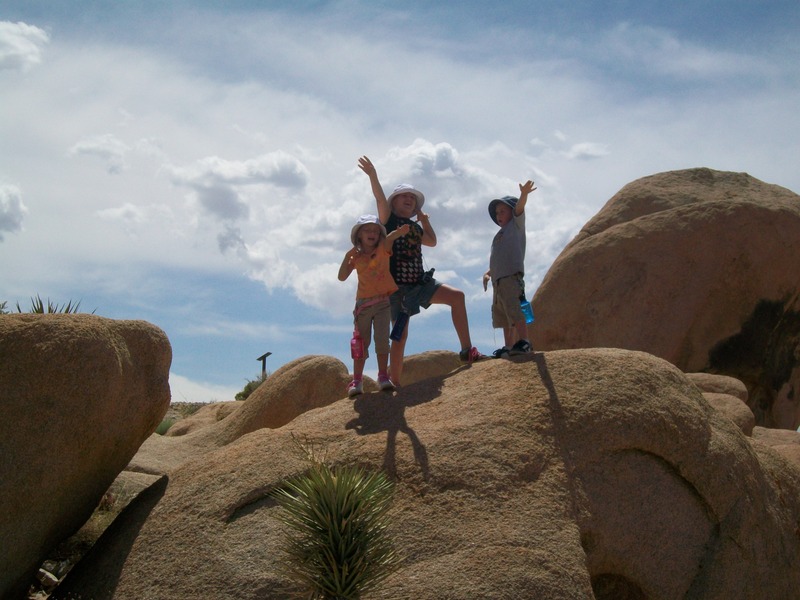 I Love Joshua Tree because it was the very first park of our very first trip, and nothing warms my heart as much as looking back on those photos of the kids all those years ago, laughing and playing together in nature. Yes, it’s hard to pick a favorite park. Maybe impossible. But that’s a GOOD thing. There are so many beautiful places waiting for you to see, and there are so many adventures out there, waiting to be had. Remember, the National Parks are Your Parks. Don’t forget about them. Don’t make excuses not to go. Don’t watch them through screens and photographs. Just pick one and get there, and you’ll find that it’ll become your favorite too. There are many more stories to share, and many more parks to show you. I have some posted around this website, others are waiting to be published, and I’ll continue to share them here as I have time. You can check here for some sample road trip itineraries. Also, follow the links in the categories list on the right side of the page to find articles about parks in different U.S. regions. 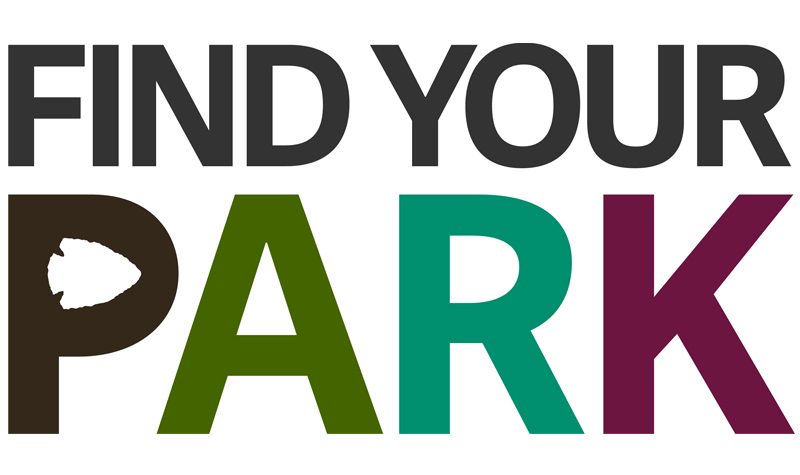 If you’ve been to any NPS lands in the past year you’ve probably seen some sign of the Find Your Park campaign, launched in celebration of this year’s 100th Anniversary of the National Park Service on August 25, 2016. 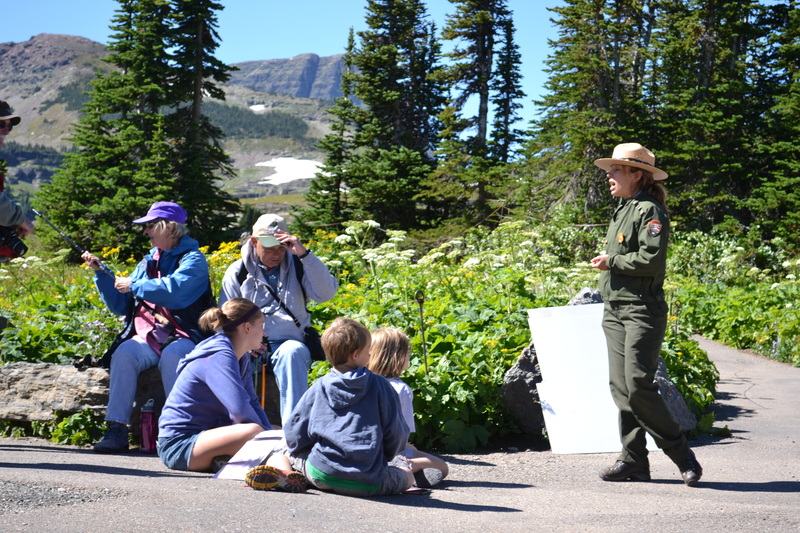 The NPS was established by President Woodrow Wilson in 1916 and today manages over 400 land sites. Yellowstone was America’s first national park, established when President Ulysses S. Grant signed the bill to establish it in 1872. 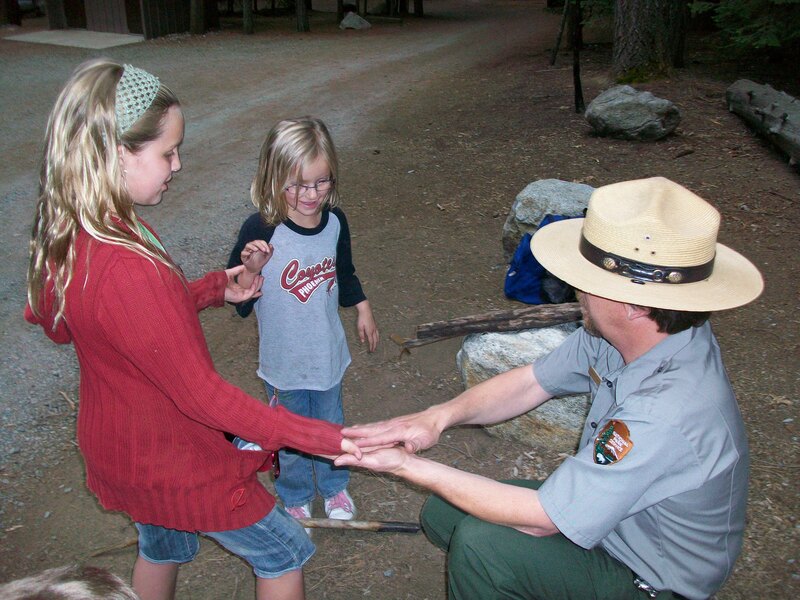 Visit the www.findyourpark.com website to find hundreds of stories from park visitors as well as other information for visiting the parks. Maybe find your park tomorrow. In honor of Martin Luther King, entrance into all National Parks is free on January 18th. Take a hike, create a memory, laugh with your family, and maybe you’ll find your favorite park too. I am excited to be publishing my 3rd itinerary! It’s difficult to think of just one word that sums up the places we saw in the Southwest… perhaps Vast. Timeless. Humbling. Beautiful. I will never forget the rock formations of the Chiricahuas which seem forgotten by time and society, but are waiting to amaze you, strewn out in the middle of a lonely desert; or when we ran wild across the endless stretches of dunes at White Sands -a breathtaking, other-worldly experience; and swimming in the hot springs at Big Bend, watching the vast night sky with more stars than we thought possible rotating around us. It was a simultaneously humbling and exhilarating experience. 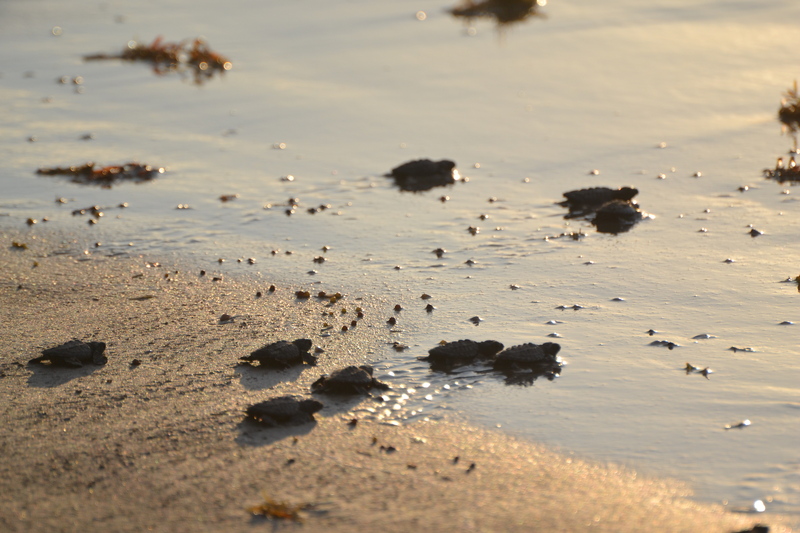 Watching the hatchling sea turtles released on the shores of Padre Island at dawn was such an inspiring statement of hope, and somehow you walk away from it with more faith in life. The Johnson Space Center of Houston reminds you of how far we have travelled, and walking the ruins of Pecos and Bandelier in northern New Mexico reminds you of how very long we have been travelling. And the Grand Canyon, a place where you can watch millions of years pass by in a single moment of time. It almost takes your breath away. You can find and download this itinerary here by clicking on the Itinerary #3 Heading. I hope you find as much enjoyment and inspiration from this trip as we did. And no matter where you are planning to go this summer, I hope you are indeed making plans to travel.